The Real Shetland Numnah are a new addition to the Real Shetland range of products. The wool naturally moulds to the shape of the horses back, allowing skin to breathe and wicking away moisture. It warms and cools with the horse helping reduce muscle problems. The numnahs are available in the natural dark shade wool and the natural cream; in full wool and half wool styles. 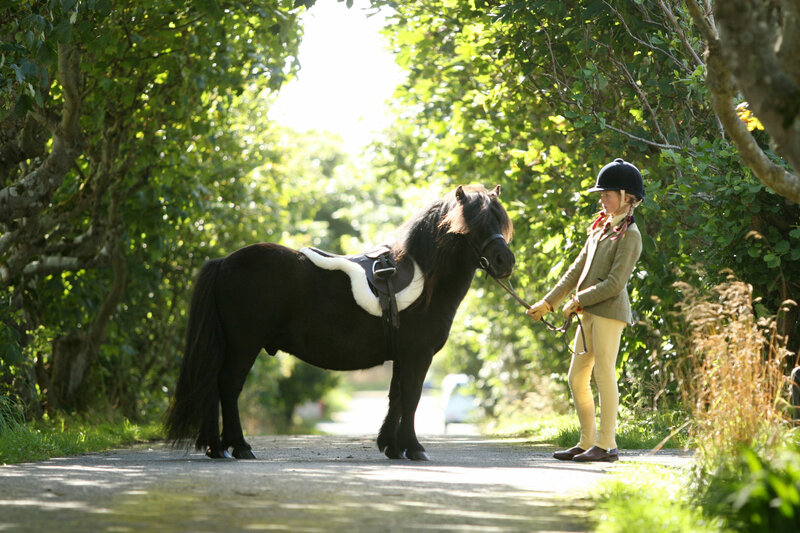 There are different sizes available and also one sized especially for our favourite Shetland ponies. We have our own experienced equestrian staff who can assist with advice on the correct size and answer any other questions you may have. Please ring or email your contact details and we will get back to you. Find details on our contact page. A versatile general purpose numnah that offers comfort and quality. With the HiWither design ensuring the horse is comfortable under saddle for long periods of time, preventing pressure points over the horses withers and spine. A quality lightweight general purpose numnah. With wool on half of the underside providing protection under the seat panels then allowing a close leg contact in the lower half of the numnah. A popular design being versatile to use in any activity. A specially designed numnah for the Shetland pony. Made from luxury wool that provides comfort and a classic look and also gives the numnah stability across a wider backed pony. Available in the full wool underside design or the quilted underside with wool collars.